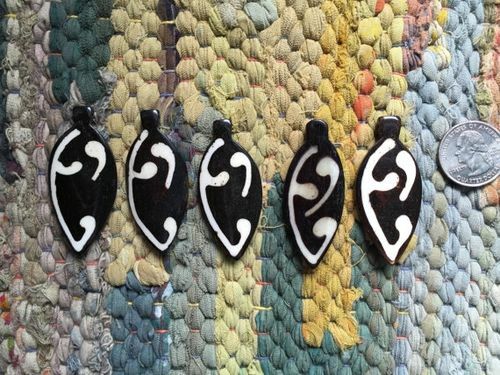 Package of 5 genuine buffalo bone leaf pendants dyed an ebony hue and accented with ivory batiking. 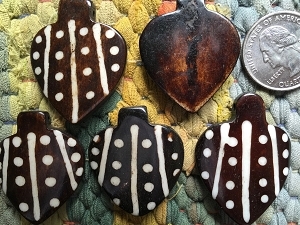 The pendant measures 1-5/8 inches in length (42mm) and 1-1/8 inches wide (30mm) at its widest part. 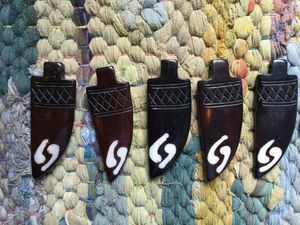 The side-drilled hole is approximately 2mm wide. 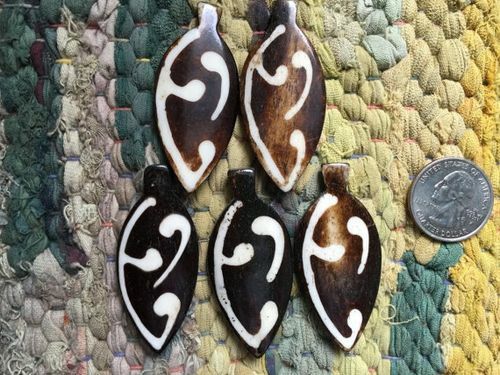 The pendants are one-sided. The reverse side is flat and blank. 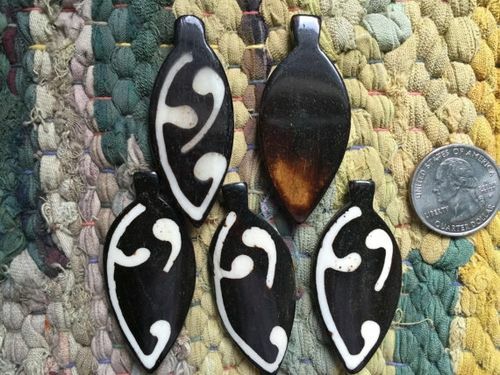 Cute for making earrings or of course, pendants.